Cloudpick provides smart store solutions to retailers. Cloudpick helps retailers transfer their traditional stores into fully digitized, intelligent, cashier-free stores using AI technologies including computer vision, machine learning and sensor fusion technologies which are also highly used in self-driving vehicle development. Customers will use their phones to enter the store after they take whatever they would like to buy, they can leave the store directly, the checkout is done by the systems behind the scenes, in a few seconds the customers will receive a receipt with the list of items they take on the phone. 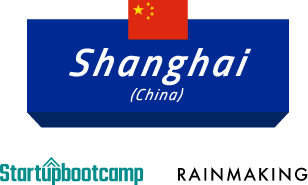 IF you have any question about the Shanghai contest , Please contact the following partner. From 1983 to 1995, he was with the Computing Center, Chinese Academy of Sciences as a research intern, research assistant, and later a senior engineer. From January 1991 to June 1993, he was a visiting system engineer in Japan, cooperating with Fujitsu. Since 1995, he has been with ISCAS, where he is a research professor now. He was appointed to be an assistant director and later a deputy director of ISCAS in August 2000- July 2002 and August 2002- July 2015, respectively.